Buying a home without Housing Finance is impossible for most of us. Due to the amount of money involved and the long loan tenure, it is very important to be as careful as possible when taking a home loan. If you are planning to take a housing loan, make sure that you avoid these five blunders at any cost. Buying a home is one of the most common dreams in India. But the rising real estate prices make it almost impossible to realize the dream without financial assistance in the form of housing loan. There are now several lenders in the country that offer loans to buy a home at competitive interest rates. 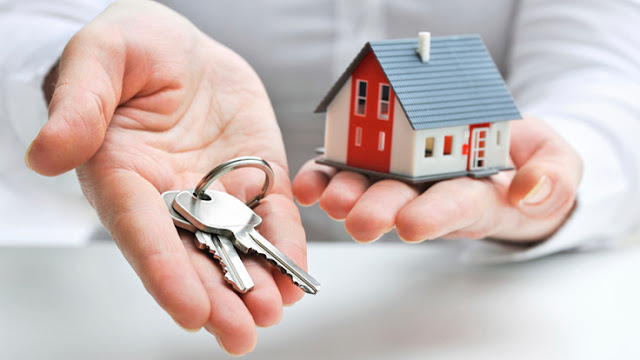 A housing loan usually involves lakhs of rupees which the borrower is required to repay over 15 years or more. Due to the large amount of money and the long tenure, it is imperative to be as cautious as possible when taking the loan. If you are about to take a loan, make sure you avoid the mistakes mentioned below. All the different lenders have different eligibility requirements and offer Housing Finance at slightly different interest rates. But it is important to know that the smallest of differences in the interest rate would convert into lakhs of rupees in the long run. So, make sure that you shop around for a while and choose a reputed lender offering the best deal. Most of the borrowers never try to negotiate the interest rate when applying for the housing loan. They simply accept the terms and conditions put by the bank without even trying. Moreover, most of them don’t even know that a lot of things, especially the interest rate is negotiable. If you meet the eligibility criteria of the lender and have all the required documents, do not forget to negotiate the interest rate as it can help you save a lot of money. The lenders require you to pay anywhere between 10%-20% of the cost of the home as down-payment, and the rest is paid by them, which you need to repay through EMIs. But apart from the down-payment and EMI, there are also many additional costs like property tax, maintenance cost, etc. which can easily run into lakhs of rupees. Make sure that you do consider these expenses as well to know whether or not you’d actually be able to pay the EMIs regularly. For solo bread earners, it is very important to make sure that they do not leave the home loan burden on their family in case of their unexpected demise. You can take a home loan insurance to protect your family from this turmoil. Apart from home loan insurance, there are also other options like life insurance and critical illness insurance which can partly or entirely cover the home loan liability. While going through 4-5 pages full of terms and conditions can be exhaustive and boring, it is very important to go through the loan documents as it includes a lot of important information about instalments, charges, penalties, notifications, etc. The loan representative might have skipped these topics when discussing the loan with you. So, make sure that you go through all the loan documents before signing them. Taking a home loan is now easier than ever, but this doesn’t mean that you can be negligent when taking one. Remember these mistakes and avoid them at any cost to avoid running into any kind of major financial disasters.